illustrated by Brigette Barrager. Random House, 2014. Saturday, Mr. B took the girls to a rainbow unicorn-themed birthday party. The little girl turned five, and her fabulous baker mommy made her a rainbow cake with ruffly rainbow frosting. I was so jealous I couldn't attend. But I knew exactly what birthday present to get. I sent Mr. B to Watermark to get this darling picture book, by one of our favorite picture book authors, Amy Krouse Rosenthal. Let's talk about Amy Krouse Rosenthal for a moment. These days, when we discuss picture book creators, we tend to give most of the props to the illustrators, especially author-illustrators. In the past, we had some stand-alone authors to celebrate, like Margaret Wise Brown, Charlotte Zolotow, or Ruth Krauss, writers who worked with some of the best artists in the business, but whose creativity also stood alone. I think Amy Krouse Rosenthal is a throwback to those times. She works with some of the best modern illustrators - Jen Corace, Peter H. Reynolds, Tom Lichtenheld, Jane Dyer, and LeUyen Pham, among others - who bring her playful texts to life, but those texts are so marvelous on their own. Her picture books are fun and inventive, and Mr. B and I love them as much as our daughters do. Just go browse a list of her books. So much happy! 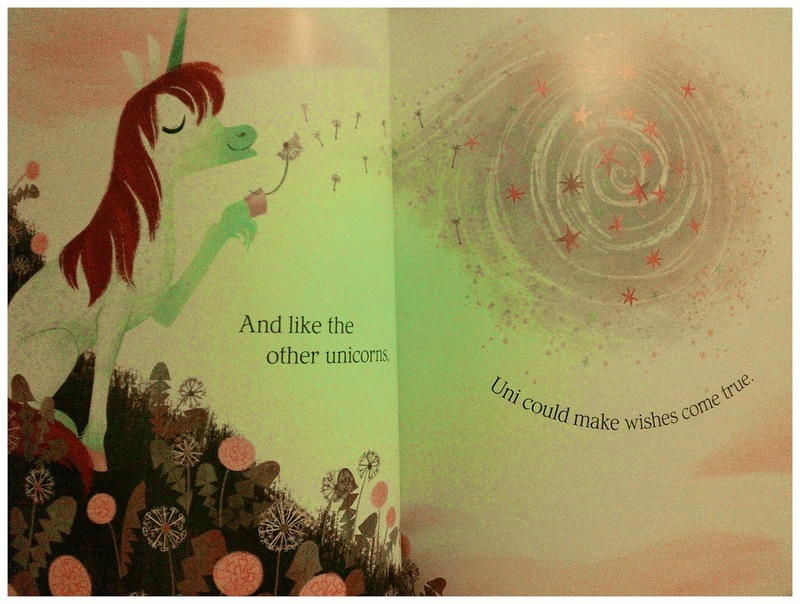 Uni the Unicorn, subtitled "a story about believing," is about a beautiful unicorn who is just like all the other unicorns. Well, her mane may be "extra magnificent" and her sparkling purple eyes may be "extra sparkling." But Uni is unique in one very important way: she believes in little girls. 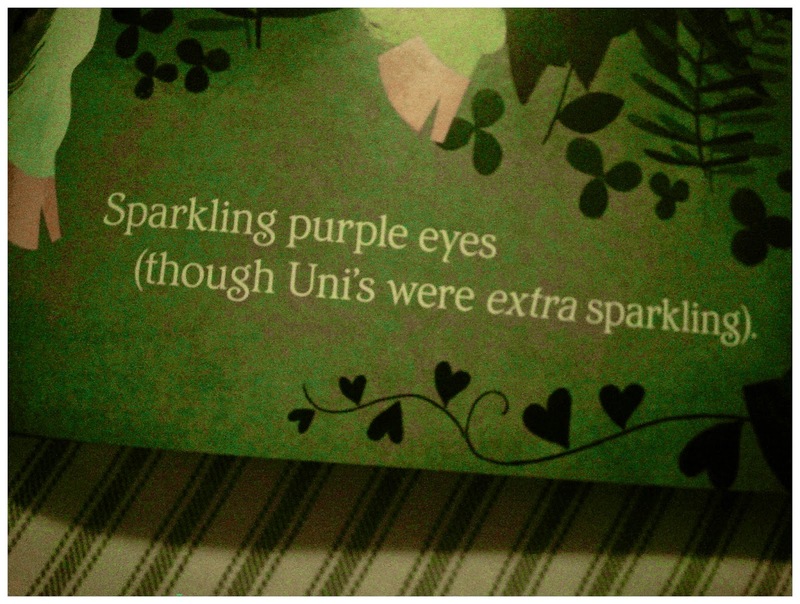 Uni believes they really exist. Her friends laugh at her, her parents humor her, but Uni dreams of the day she will meet a real, live little girl. As you can see, the illustrations are exquisite. 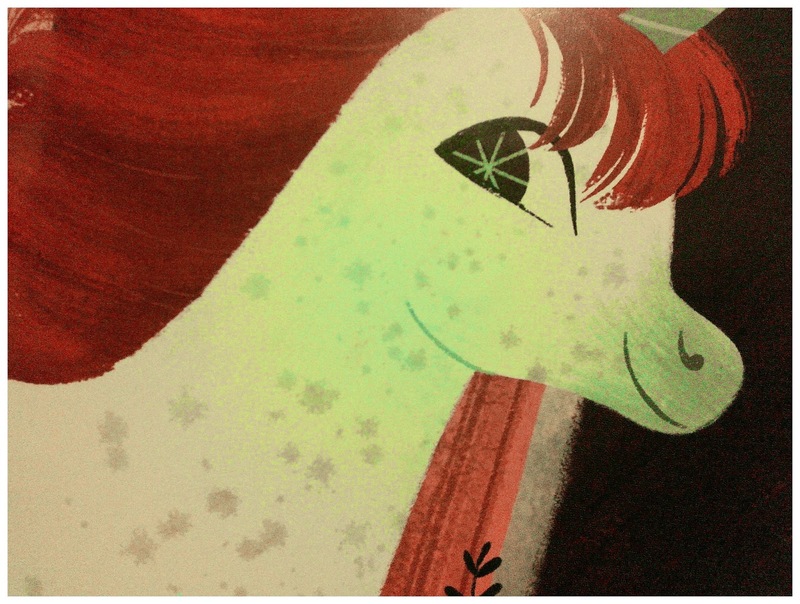 Brigette Barrager is new to me, but I love her retro-style art. 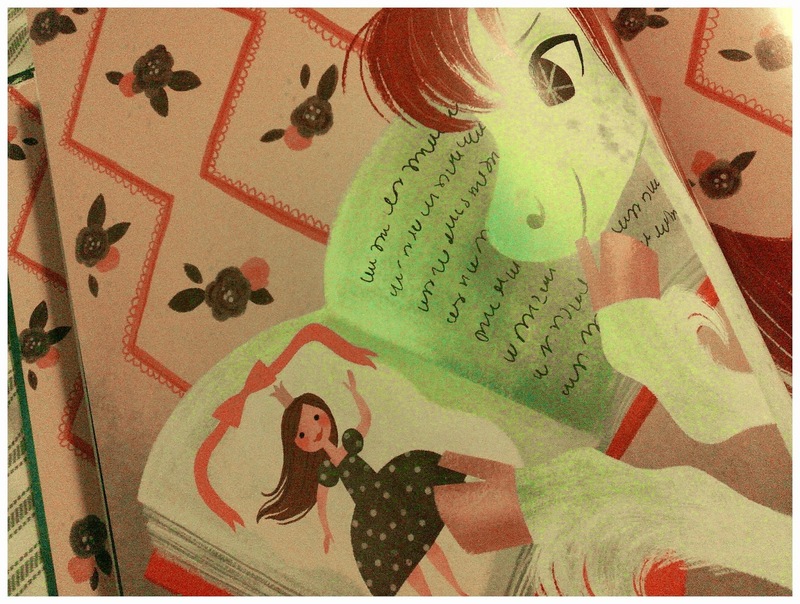 I just noticed she illustrated an edition of The Twelve Dancing Princesses for Chronicle Books. I must check it out! 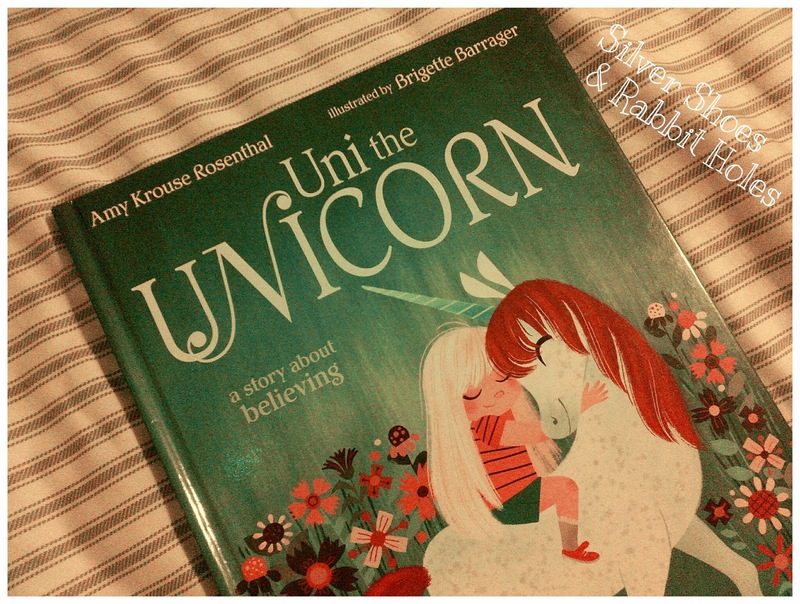 So yes, if you believe in unicorns, children, or lovely books, check this one out! And now, you must follow this link and see what happens when a real, live little girl meets a real, live unicorn. So precious. I hadn't heard of this book. My little girls would love it. The art is so cute. Frameworthy cute. Hope you're feeling better. Seriously, right? The art reminds me a bit of the most beautiful stuff from the '60s and '70s. So beautiful. This looks wonderful and I can't wait to read it! Also, I agree with you about Krouse Rosenthal—a wonderful picture book writer who creates manuscripts suited for the best illustrators to fully realize. She's a hero. Isn't she fantastic? My girls will never get tired of Little Pea, Little Oink, and LIttle Hoot. They will always be favorites. What a great book! 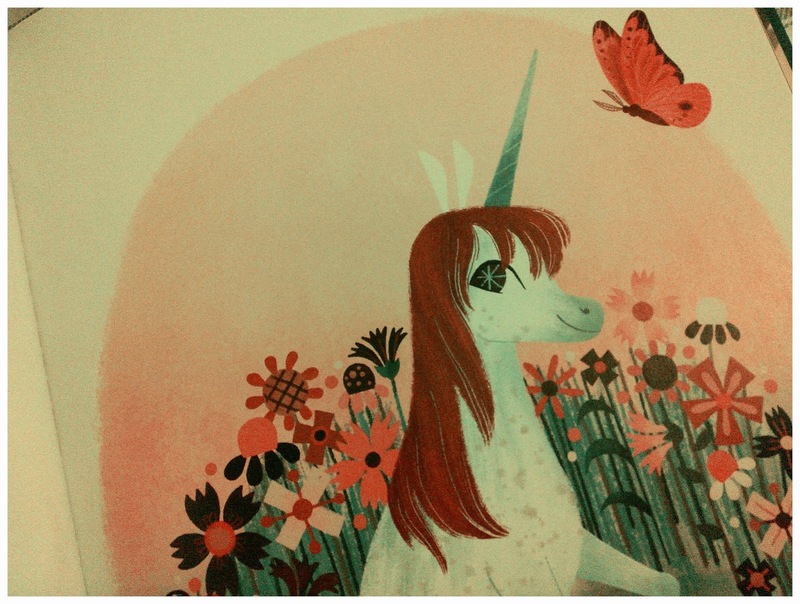 Love the art, and what a gorgeous present for a unicorn themed party! Addison's story with the unicorn was so touching. Unicorns are the best! Wasn't that story too wonderful? I saw it after I typed this post up, and I knew I had to link to it. 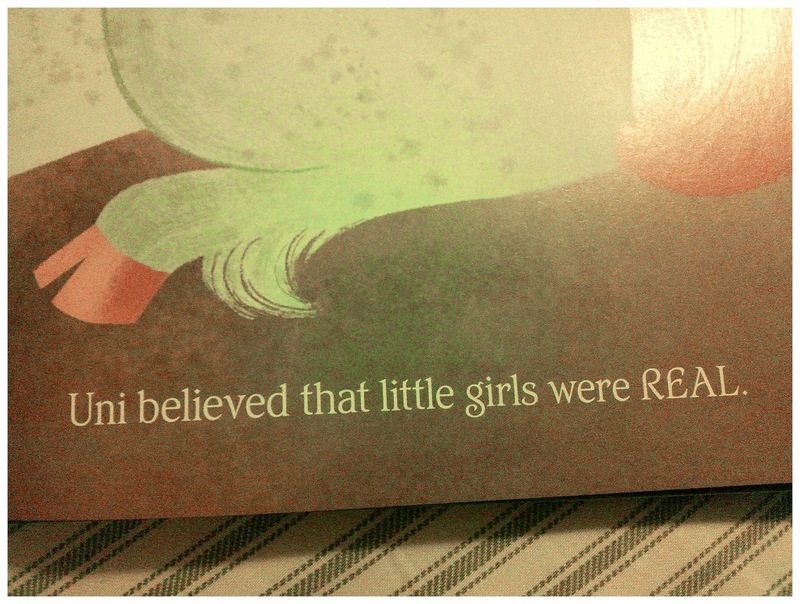 I would love to read that book for my little girl. 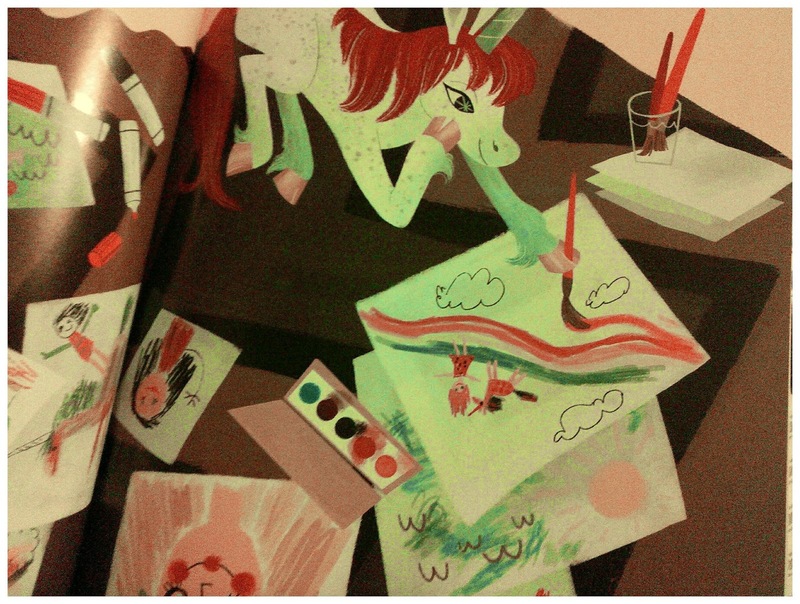 The illustrations is so beautiful! It makes a very sweet bedtime book. Lulls a little one to sleep with promises of unicorn dreams. Sounds good to me! HOW DID I MISS THIS????!! Oh I love it!! What a find! So agree, her work is just amazing. Wowza. We gotta look for this one!! !